Description - Secluded Cabins in Pigeon Forge and Gatlinburg If you are looking for a secluded and romantic getaway in Pigeon Forge or Gatlinburg, away from the hustle of life, then you will love our cabins. Our secluded cabins are ideal for honeymooners, couples or families looking for private and romantic getaways. You don't have to sacrifice convenience to enjoy privacy. 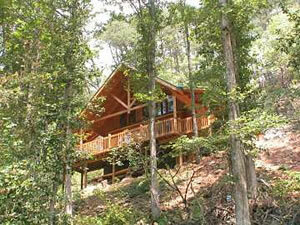 Our cabins are located within minutes to all the attractions this area has to offer. You are getting the best of both worlds. Imagine you and your loved one sitting close to each other while watching stars flash across a clear sky. 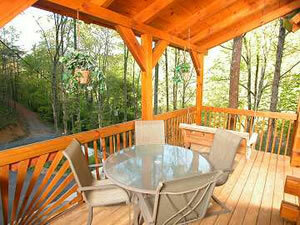 Sipping champagne while soaking in your private hot tub with a warm bubbling water overlooking a brook. Imagine the scents of pure mountain air and pine trees. 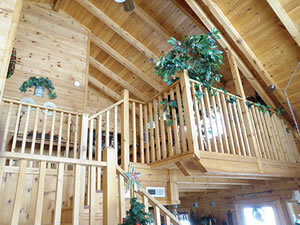 Our Luxurious cabin rentals are professionally decorated. All of our cabins are decorated for Christmas. All of our kitchens are fully equipped to cook full meals, some even have convection ovens. 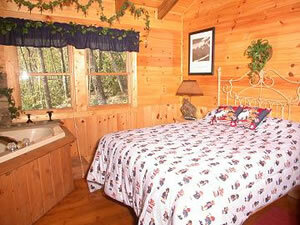 All of our cabins are VERY WELL PRICED for all the amenities you will get. Each of our cabins has a 2 person Jacuzzi Tub, Game Room with Pool Table, Spacious Hot Tub, Plasma TVs, Fully Equipped kitchen, Washer & Dryer, and FREE Wifi and Long Distance. One more advantage we have over other local rental companies is unlike other rental companies, we DO NOT CHARGE an additional nightly fee per person if your party has more than 2 or 4 people. Our rates are the same whether you have 2 people or 8 people in your party.